The winter can be long and not to mention freezing cold. Are you on the lookout for fun events to enjoy with the whole family this spring season? Luckily we have several fun events that you can look forward to! Take a look at some of the best options in Jersey City! 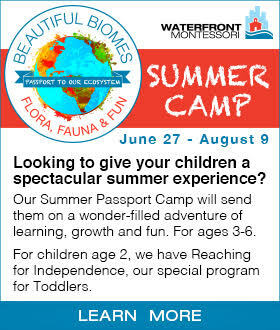 Are you looking for a Summer Camp for your child? Join JCFamilies for the annual Summer Camp Fair on April 27th! 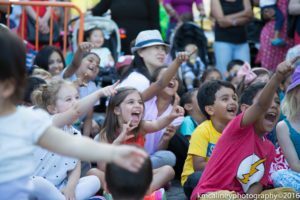 This is the only fair in Jersey City where you can get information about & also speak to the representatives of several Schools, Day Cares, Summer Camps & Activity Centers in & around Jersey City & Hoboken. Browse through several camps while the kids are entertained, and hopefully by the end of the 3 hour event, you will have found the perfect summer camp for your child. Put your sun hats on for 3 hours of FREE & FUN-TASTIC outdoor fun for the whole family! Join for us for “Fun In the Sun” on April 27, 10:00 am – 1:00 pm at City Hall Plaza, Jersey City. – Your favorite Fire Truck is back for a visit. Meet its friendly firefighters and let them show you how its done! – Put your creative hats on with Arts & Craft activities during JCFamilies Summer Camp Fair’19 happening at the same venue. 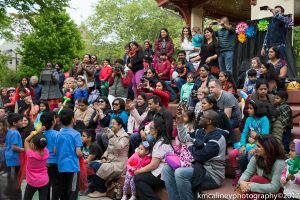 Join us for a Mother’s Day Celebration in Hamilton Park on May 10th from 4pm to 7pm. There will be entertainment, music and several vendors. Save the date! More information will come. Check our website for updates about the event. Join us for the 4th annual JC Fitness Fair in Jersey City! This is an opportunity to meet local fitness professionals and find the perfect workout or re-ignite your interest in an old favorite. We hope to see you all there! More details will come. 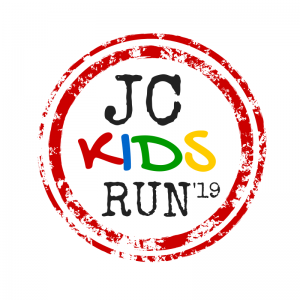 Calling all KIDS from 1 to 10 years for The JC Kids Run in Jersey City on Saturday June 1st 2019. For more details about the JC Kids Run in Jersey City, check out this link. If you have small children who love animals or you’re interested in having an animal-filled experience to remember, a petting zoo or pony ride might be the perfect place to take your little ones! 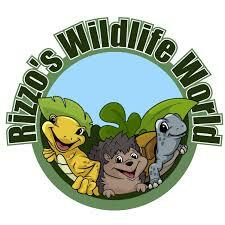 Create amazing memories feeding and learning about all types of animals. They’re also an amazing addition to any birthday party! 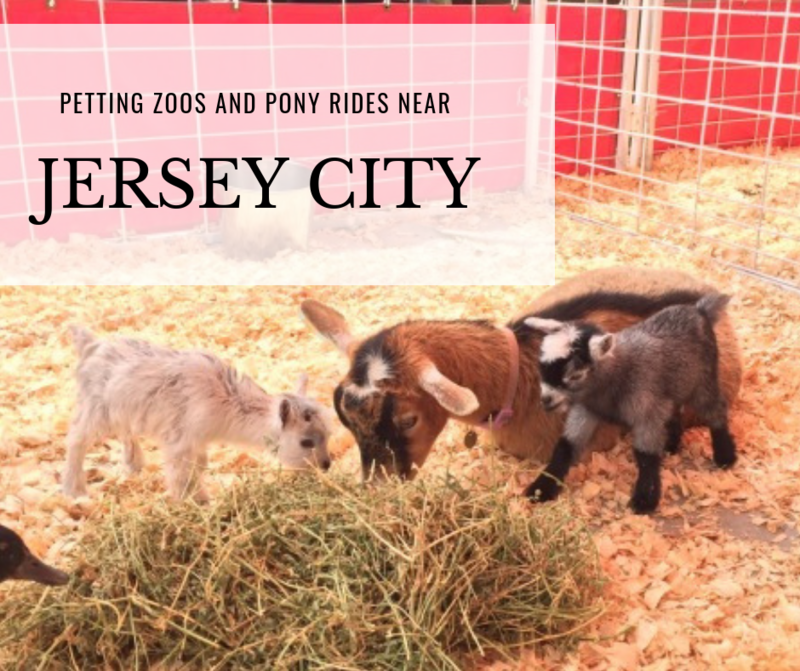 We may not see too many ponies or chickens running around Downtown Jersey City, which is why we created a list of Petting Zoos and Pony Rides Near Jersey City just for you! 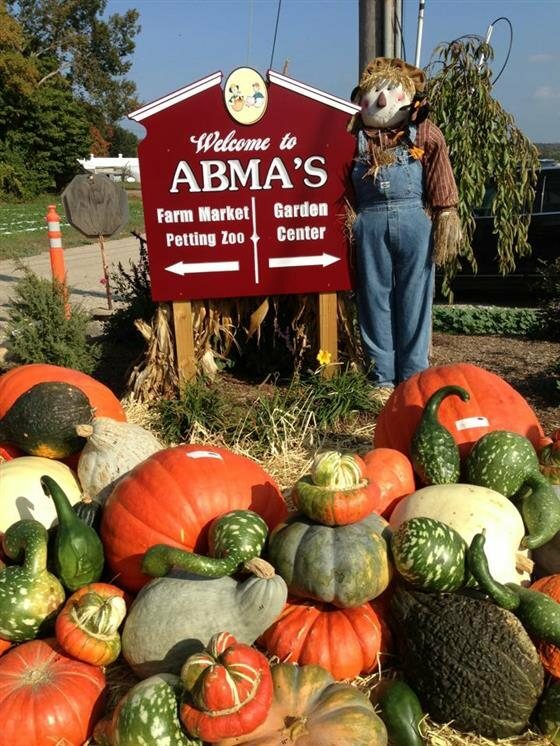 After nine decades and four generations, Abma’s Farms is still Bergen County’s only produce and poultry farm. They have a barnyard full of animals for your child to interact with. They’ve rebuilt their Barnyard from the ground up giving it a completely different educational experience for you and your family! Check out the new duck pond, Bunnyville, ‘Three Little Pigs’ homes, and much more. 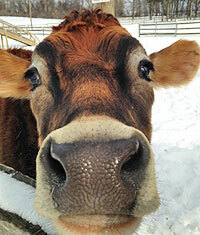 The barnyard is open Monday – Friday from 8:30 AM-5:30 PM and on Saturdays 8:30 AM-5 PM. Your $3 purchase to enter the Barnyard covers exceptional care for their animals, routine maintenance for their grounds, and the Barnyard staff. This farm is about an hour from Jersey City. Can’t make it to the animals? No worries! The Friendly Farmyard Traveling Petting Zoo and Pony Rides brings the fun straight to you! The Friendly Farmyard offers fun, interactive, and customized pony and petting zoo parties and events. Experienced professionals work with you and the animals to ensure a fun and safe experience for all! Like other working farms and locations on this list, Johnson’s Corner Farm offers a wide range of activities year-round, in addition to the petting zoo. 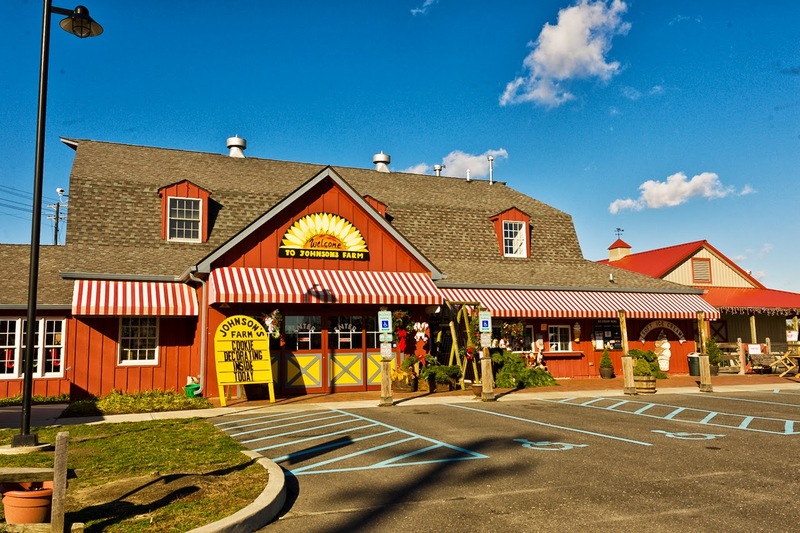 This location features the Discovery Barnyard, where kids can explore an obstacle course, ride pedal go-carts perfect for smaller children as well as older ones and a pretend farm. Sheep, goats and chickens are all in the animal farm, and visitors get the opportunity to feed them! A day pass goes for $9.00 per child between the ages 12 months and 12 years old and $4.50 for adults and children 13 and older! 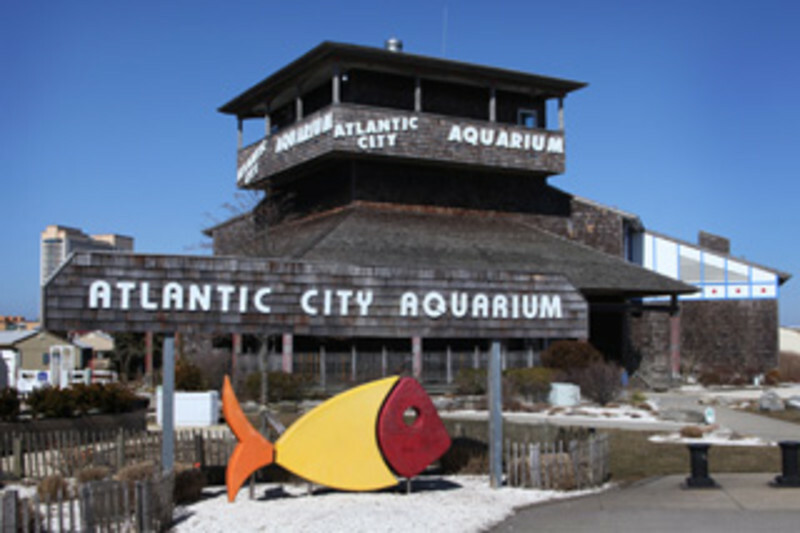 They are open daily from 8 AM-7 PM and is located about an hour and a half from Jersey City. Get ready to saddle up! Hunter Brook Horse Farm is unlike any other equestrian center in the area! Hunter Brook Horse farm is a full service equestrian facility featuring boarding, horse sales, riding instruction, summer and winter camps, birthday parties and a friendly staff who are more than happy to work with you every step of the way. They offer lessons for any skill level! 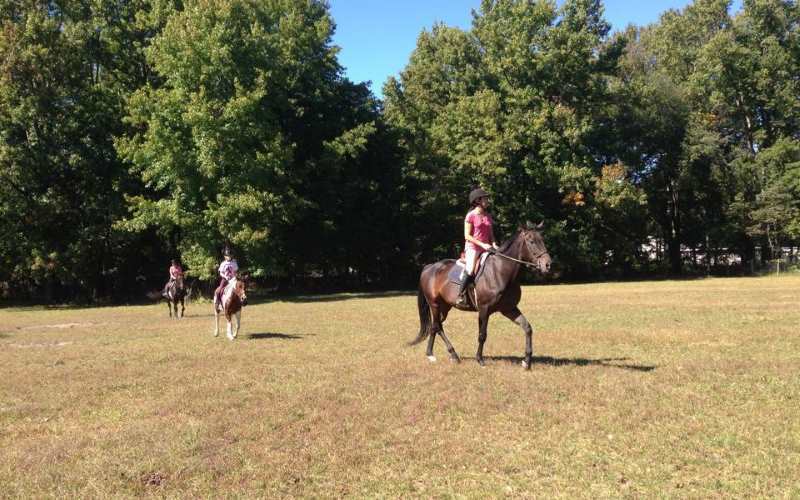 You can call Hunter Brook Horse Farm for more information on pricing options and booking a lesson! Hunter Brook is located an hour from Jersey City. New Joy Farm has no problem traveling! They serve the NJ area along with surrounding areas! The kids can enjoy Pony Parties bounce houses, face painting and unicorns. That’s right, a unicorn! Birthday parties are definitely the most frequently requested party event but New Joy Farm also works with special occasions such as, church functions, festivals, school functions, day care centers, graduations, reunions and company outings. 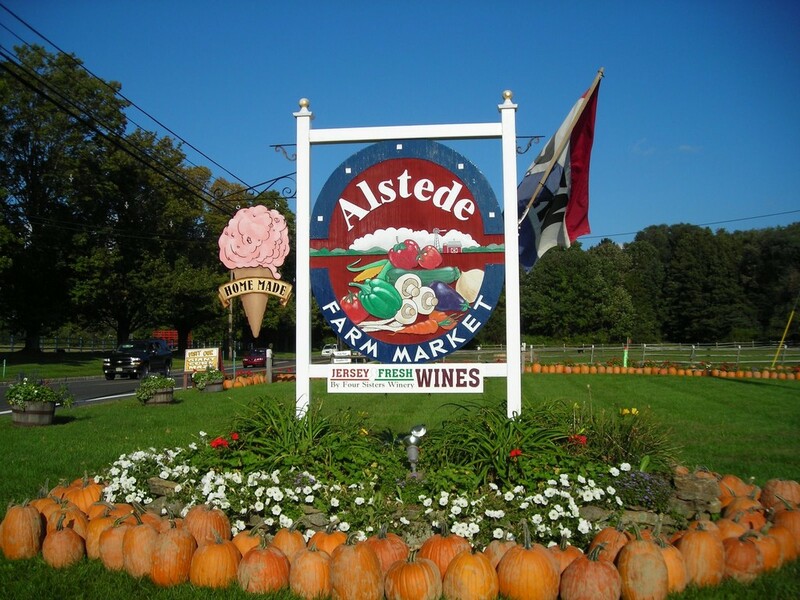 Alstede is a great place to bring the family year-round and offers everything from fresh produce to Christmas trees. They also have have a very diverse variety of livestock including cattle, horses, sheep, goats, peacocks, miniature and large donkeys, ponies and mini horses, waterfowl, bunnies, cats, and poultry. 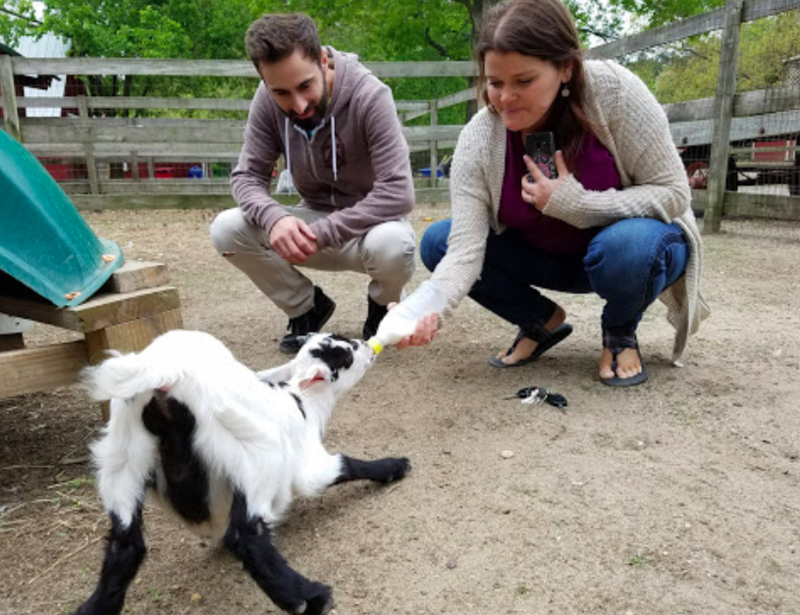 Having a wide range of animals helps them to provide a more educational and enjoyable farm experience for every guest earning them a spot on our list of Petting Zoos and Pony Rides Near Jersey City ! 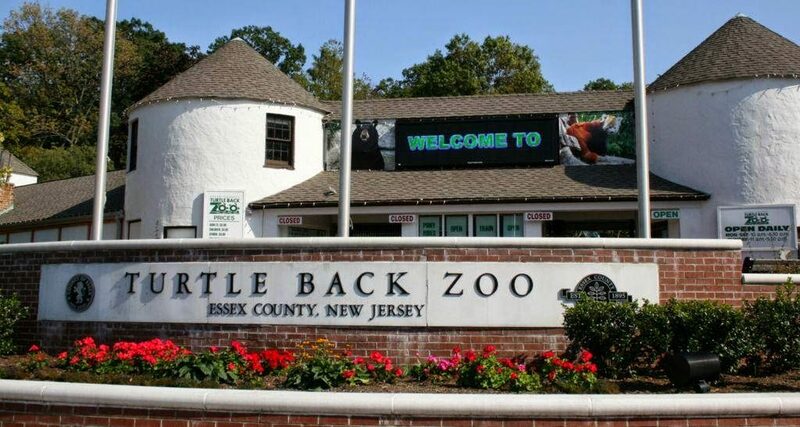 You can visit the animals daily from 9AM-7PM and is located a little less than an hour from Jersey City! 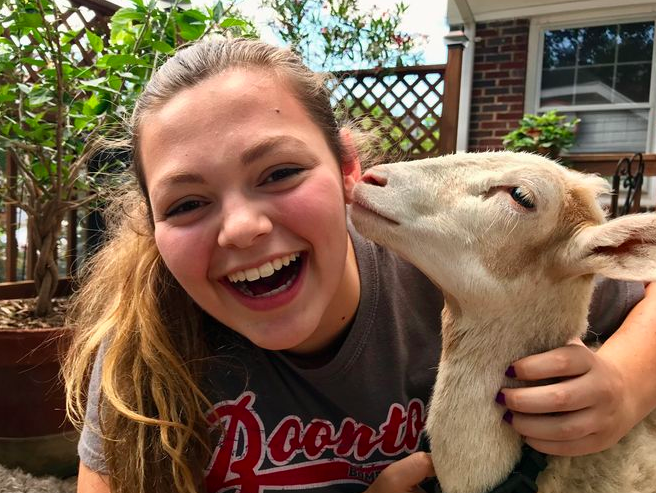 The Barnyard Sanctuary is a NJ 501(c)3 non-profit charity that has been rescuing displaced farm animals has been providing a save haven for animals for over 8 years landing it a well deserved spot on our list of Petting Zoos and Pony Rides Near Jersey City! Since opening their doors, The Barnyard Sanctuary has saved the lives of over 3,000 farm animals and today approximately 700 farm animals call this farm home. There are several ways you can help this cause and you can even adopt an animal in need of a home. This amazing place is open to visitors, but you must schedule an appointment to visit. They located an hour from Jersey City and are open to the public Monday-Friday between 9am–3pm and Saturday from 9am–noon. Funny Farm Rescue, where each animal has a story. Goats roam free as well as roosters and a large white horse that will nuzzle you. Parents can purchase a bucket of food for the pigs and horses and kids can spend some time feeding them. 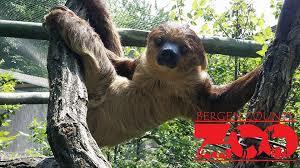 Their visiting hours are Tuesday and Sunday 8AM-4PM and is located about 2 hours from Jersey City. 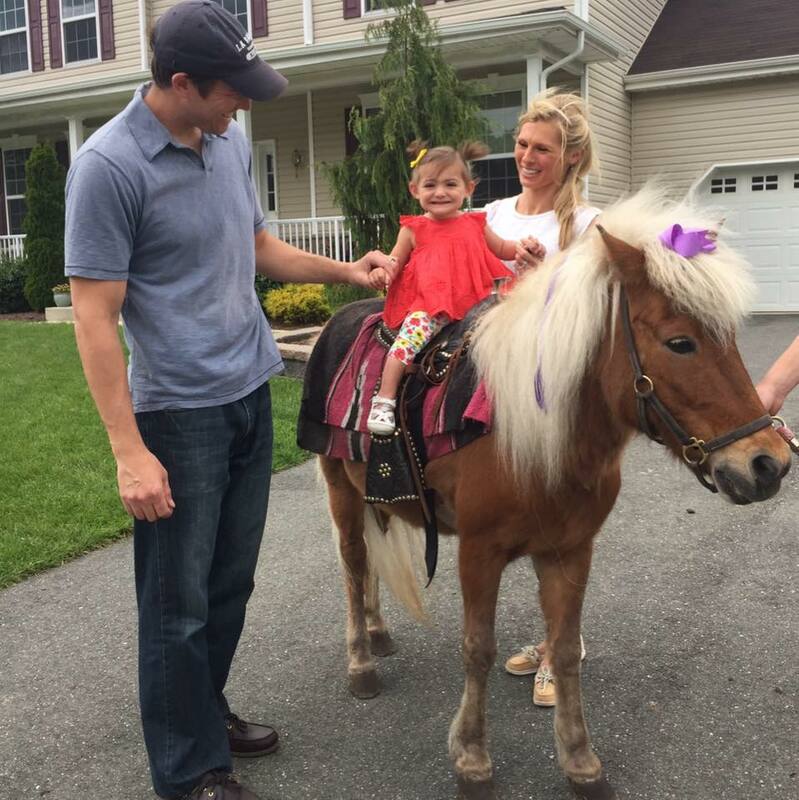 Pony and Pals is a family owned traveling pony and petting zoo rental business. Make your child’s dream come true, by having their own petting zoo and/or pony in their own backyard. No yard? No problem, they can set up in a driveway or garage. 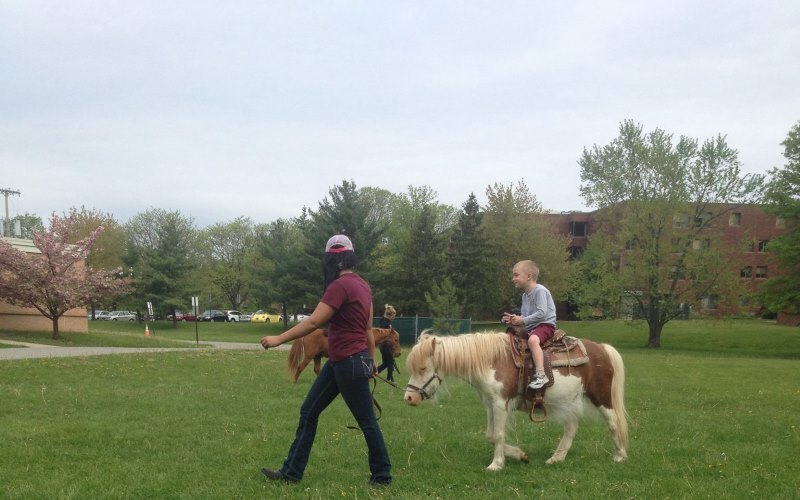 Pony and Pals provides fond memories that families and kids of all ages will cherish a lifetime. Prices start as low as $195 but can vary based on event location and duration. Mountainside Stables has been providing excellent entertainment services for events throughout the NJ Tri-State Area for 20 years! They provide traveling petting farms, pony rides and horse and carriage rides for events of any size! The traveling farm is a unique addition to any party that all of your guests will love! They bring clean and friendly animals of all varieties including Chicks, Duckling, Rabbits, Mini-horse, Mini-donkey, Goats, Llamas and so much more! 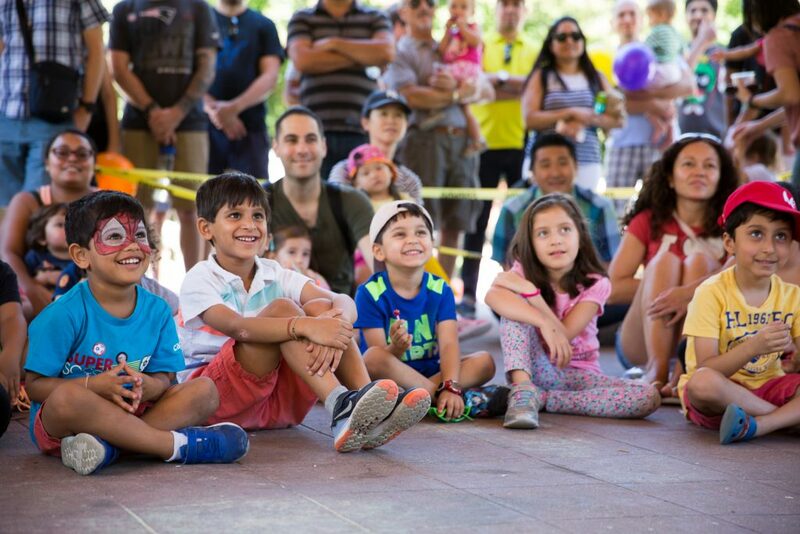 Whether you’re throwing a birthday party, hosting an event or if you simply love animals, petting zoos and pony rides are the perfect experience for the whole family to enjoy! 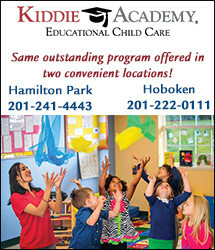 There are great choices around Hoboken as well! As we get closer to spring break we all are thinking about fun activities to do with our families during the time off! It’s been a long winter and we are all itching to get outside! However, the might be some left over winter chills making outdoor activities slightly harder to enjoy. Luckily Jersey City has plenty of interesting indoor places and camps to keep you warm and entertained. 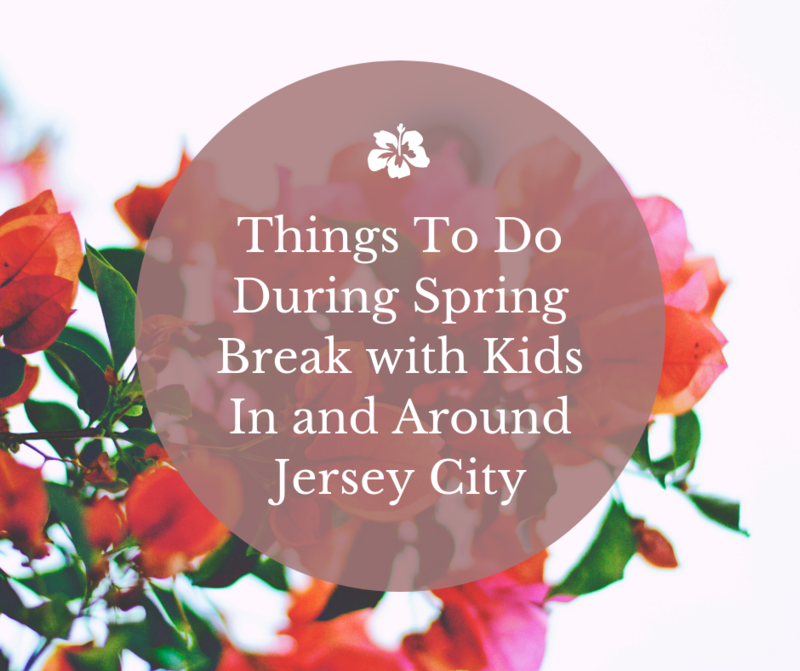 When the weather is living up to Spring Break standards, Jersey City offers tons of fun options for the entire family! 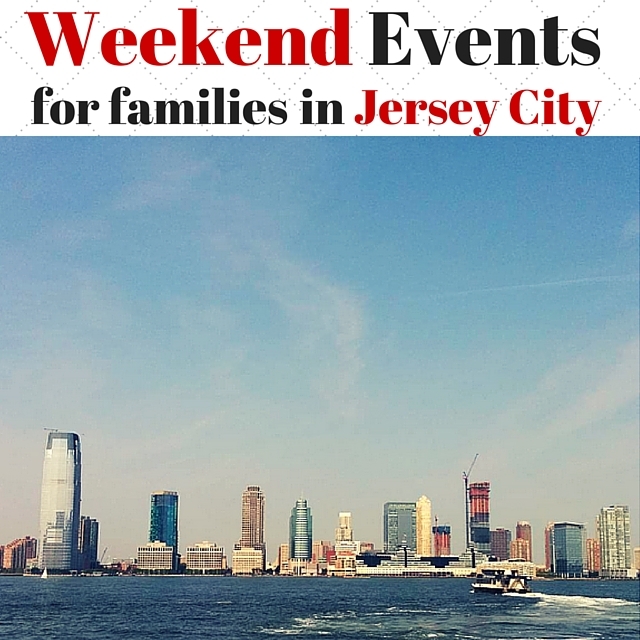 Here’s our list of Things To Do During Spring Break with Kids In and Around Jersey City! Zaniac offers several camps while your little one has a beak from school. 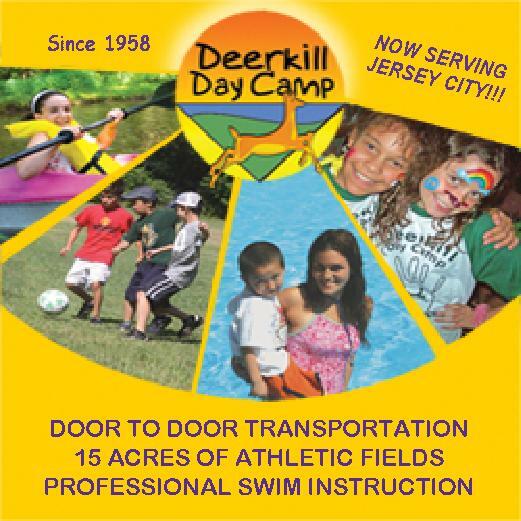 Their camps are the perfect combination of learning and fun for children K-8 making it the perfect addition to our list of Things To Do During Spring Break with Kids In and Around Jersey City! 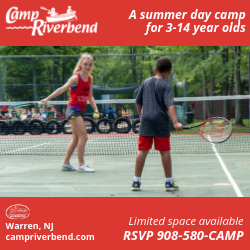 Weeklong, full day camps run from 8:30 AM – 4:30 PM for $559 and Half-day weeklong camps are $349 and you can choose either the morning session from 8:30 AM – 12 PM or afternoon session from 1:00 PM – 4:30 PM! Your little one can enjoy an amazing combination of structured play, story time, art projects & fun at Key Element Learning! Their “SpringCamp” tends to kids 2-6 years-old and you can choose between 3 hour or 5 hour days! 3 hours will cost $70 a day and 5 hours will be $95 a day! 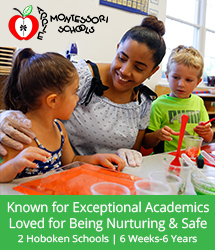 These places and classes will get your child exercising their bodies and minds! When school is out, MY Gym is in! 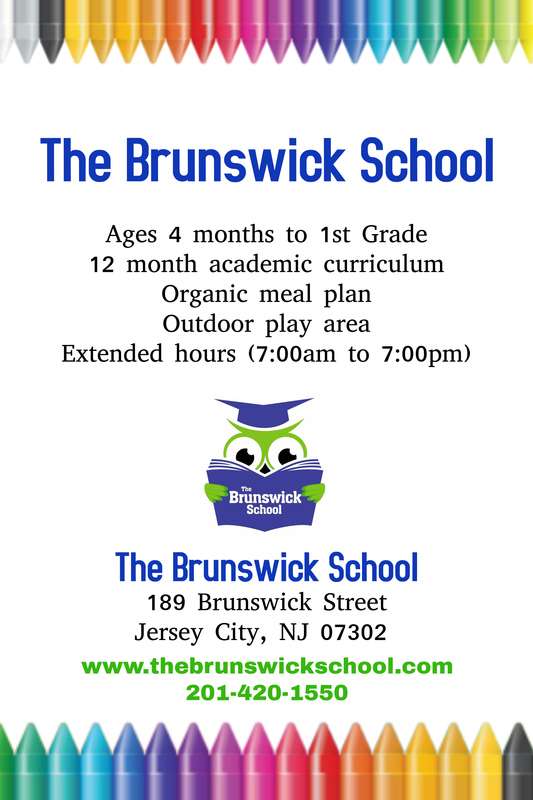 They have plenty of fun classes on a daily basis for kids to enjoy but also offer a great option of camp themed fun. Children participate in fitness games such as gymnastics and non competitive games that really get the heart pumping! Your little one can bring out their inner artist with arts and crafts and musical fun! My Gym believes that your child will have a blast rain or shine! HudsonPLAY is a unique family playspace with activities to engage at every age. It’s definitely a major staple for indoor activity places in Jersey City! With a focus on interactive entertainment and fitness, HudsonPLAY is designed for serious fun with dynamic play areas for toddlers, state-of-the-art activities for preschoolers and a challenging Ninja Warrior Course for everyone else! Come and rediscover the excitement of PLAY. They even offer day camps! Who said science can’t be fun! 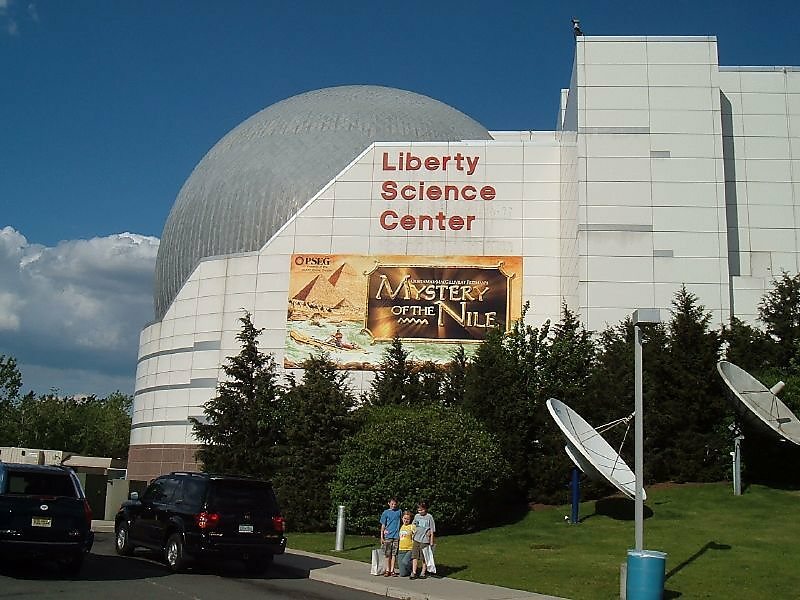 The Liberty Science Center combines scientific develops with fun and interactive exhibits earning it a spot on our list of Things To Do During Spring Break with Kids In and Around Jersey City. There are changing exhibits for kids of all ages and permanent fixtures that kids love! Tickets will cost you $22.75 for adults and $18.75 for children ages 2 – 12 for general admission. Luckily they offer great membership rates. Want the scientific fun to continue? Head over to the New York Hall of Science in NYC to check out their Science Playground. Designed for children of all ages, Science Playground exhibits include a giant lever, Archimedes screw and water play area, wind pipes, a climbing net, slides, sand boxes and metal drums. 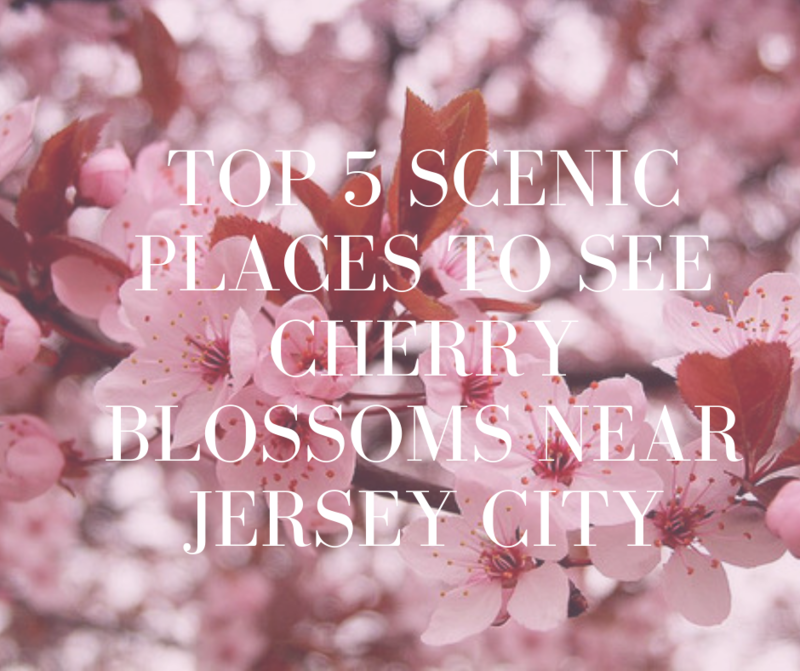 Take in all of the nature that the Garden State has to offer. Take a hike, capture photos and leave only foot prints! 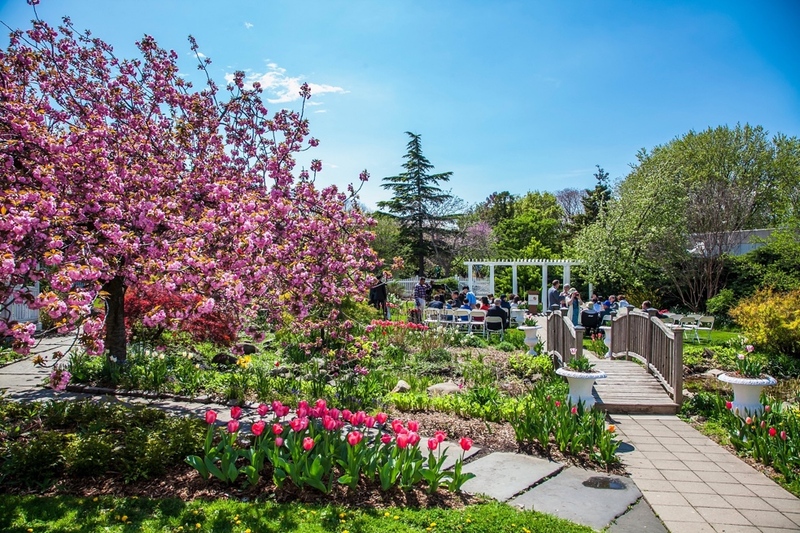 This green oasis is a perfect spot not only for Jersey City residents but also for anyone from the surrounding area which is why it’s on our list of Things To Do During Spring Break with Kids In and Around Jersey City! There is a large playground that the little ones love. There are pathways for biking, skating and running. You can take a self-guided nature path to observe this local wildlife habitat! Branch Brook is located in Newark and is about a 15 minute drive from downtown Jersey City. 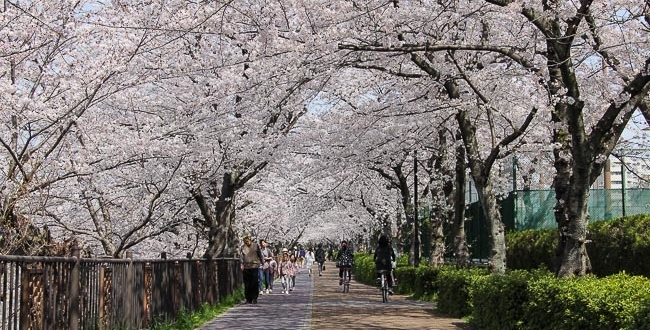 The 360 acre is home to an annual Cherry Blossom Festival, perfect for Spring photos! The park also has a roller skating rink! If you haven’t checked out The Bronx Zoo, this is the time, before summer crowds make it hard to park and harder to see exhibits. There is a lot of outdoor walking, so dress appropriately. 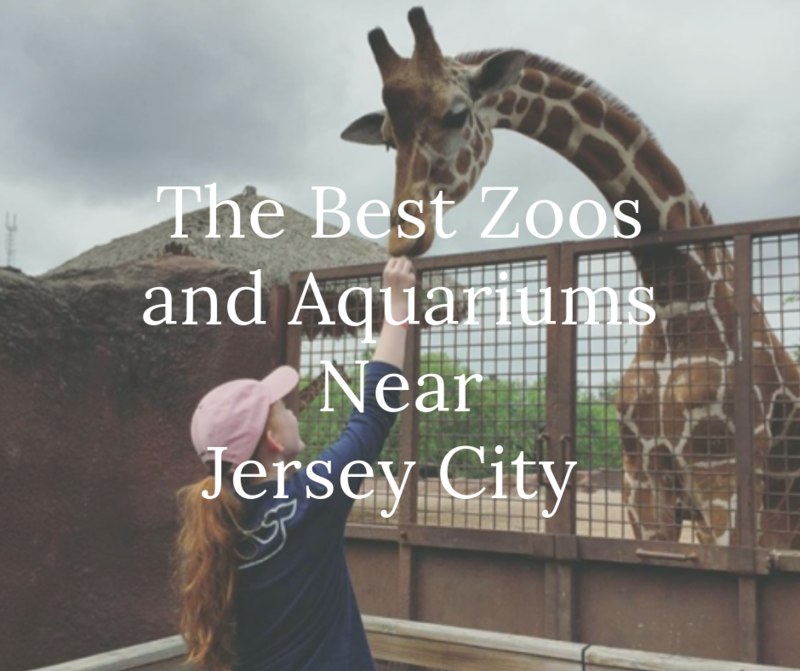 There are so many things to see and do at the Bronx Zoo including World of Birds, the Sea Lion Pool, the Congo Gorilla Forest and so much more! Rates for tickets are $28.95 for adults 13 and up, $20.95 for children 3 – 12 and kids under 2 are free. Click here for tickets. Jersey City offers so many options for fun activities but the fun doesn’t stop there! 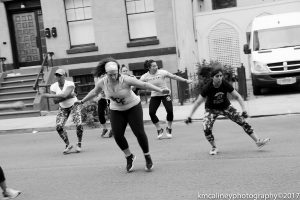 Hoboken is also a great place to play! Make sure to grab a bite to eat from one of the many restaurants in the area!